Billboard Awards 2014 Hairstyles and Makeup. 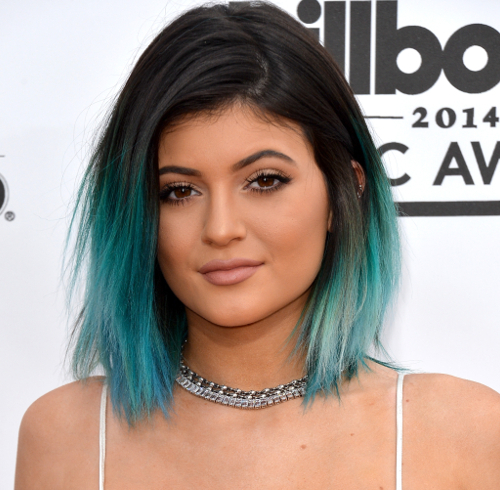 Best Celebrity Hair and Makeup from the Billboard Awards 2014. The Billboard Music Awards 2014 show held at the MGM Grand Garden Arena in Las Vegas on May 18 brought plenty of exciting choices in the hair and makeup department. Some of the moment's hottest entertainers brought inspiring beauty looks into the spotlight. Updos proved quite a popular choice at the Billboard Music Awards 2014. 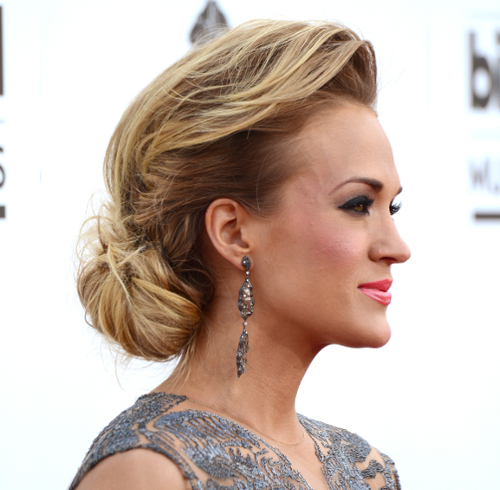 One of the most interesting red carpet updos was Carrie Underwood's sophisticated up hairstyle that oozed old Hollywood glamor. The singer debuted darker locks and opted for a chic smokey eye makeup paired with glossy lips for the occasion. Kesha stated that she was feeling like a “toddler in a tiara” while getting dressed for the event. While her dress definitely exuded elegance, her messy updo and her bold lashes had a trendier twist. Sarah Hyland went for a simple bun for the occasion but went for an attention grabbing '80s inspired makeup look. Jennifer Lopez looked absolutely amazing on the red carpet. While her amazingly sultry red dress was the one that first stole the spotlight, her simple yet chic voluminous half updo with trendy waves at the bottom was the one that helped her become one of the most memorable stars at the red carpet event. Makeup-wise, the star went for a soft smokey eye makeup paired with glossy lips. Chrissy Teigen debuted new blunt bangs at the 2014 Billboard Music Awards. She opted for a simple loose hairstyle and a subtle makeup look. Kendall and Kylie Jenner also proved fans of the effortless chic vibe opting for loose hairstyles and elegant, discreet makeup looks that flattered their features. 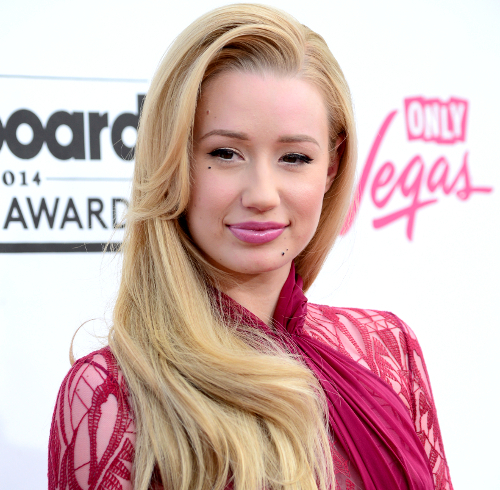 Iggy Azalea rocked a demure look at the 2014 Billboard Music Awards. Her soft voluminous long locks featuring soft waves and sultry pink lips proved a very flattering choice for her. Singer Nicki Minaj went on a slightly more conservative streak when it came to her hair and makeup choice. Judging by her fairly discreet makeup look and her perfectly styled loose curls, it appears that the star might be ready to put the days of over the top looks behind her, for now at least. Loose side swept hairstyles also proved a great choice for some celebrities. Lucy Hale's side swept waves featuring chic ombre highlights proved an incredibly chic choice. Her pink cheeks brought a touch of innocence to her otherwise sultry look. 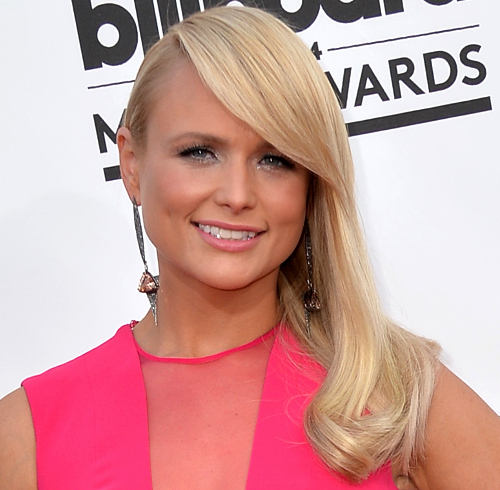 Miranda Lambert was another celeb that opted for side swept glossy locks. The chic hairstyle let her amazing earrings steal the spotlight, while subtle shimmer applied on her lids made her eyes stand out.